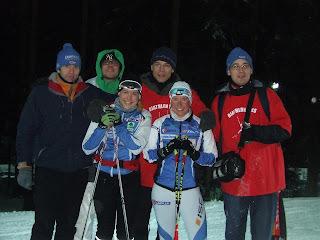 Our fan group do not stop to have exclusive interviews from the biathletes: now we move from the large Canada to the small Estonia: here we find a very sympathique and always smiling young biathlete – in the next few minutes we will ask Johanna Talihärm. Johanna, you did your first season in the World Cup, are you satisfied with the results? My main goal is to make a good result in Junior world championchips , because it is my last year there. But second goal is definitely to earn some points, and in olympic games it would be even greater. Tell us a few things about the situation of biathlon in Estonia! How popular is this wonderful sport there? Biathlon could be more popular in my home country. In January there were IBU cup in Otepää, and spectators were mostly from Russia, but I hope that good results from our young athletes will increase the popularity of biathlon in Estonia. 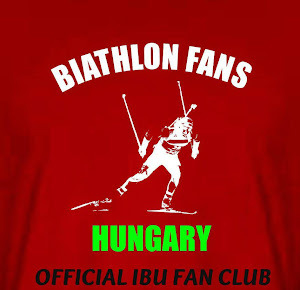 What is your biggest dream in biathlon? You are very very young, what are the goals you want to achieve in your career? My goal is that one day after the finishline I can say that I am satisfied with everything that I did during the race. That would be wonderful feeling. I set high expectations to myself so I'm sure it means great result too. What are you doing at the moment? Still have a rest or already thinking about the preparation for the next season? You were the loudest fan group that I have ever heard shouting my name, it was nice surprise;) Thanks!